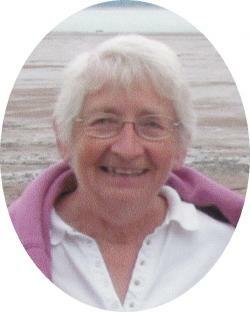 Catherine Louise "Cathy" Smith – 77, Truro. With great sadness we, the family of Cathy Smith, announce her passing on Friday morning, April 27, 2018, at Colchester East Hants Health Centre, Truro. Born in Yarmouth, she was a daughter of the late Horace and Ella (Harris) Wetmore. Although born and raised in Yarmouth, Cathy moved to Coxheath, Cape Breton, for her junior and senior high school education when her father became the principal of Riverview High School. She later attended Acadia University, graduating with a Bachelor of Science degree and a major in Home Economics. Cathy met Eric while attending Acadia and they married soon after their graduation. For a few years, she taught Home Economics in Horton and other Valley schools. She and Eric lived in Upper Dyke for several years and she kept herself busy raising her family and being involved in community affairs. While the children were still in elementary school, the family moved to Tatamagouche where they lived on a small family farm, and Eric commuted to Truro to teach at Nova Scotia Teachers College. After three years in Tatamagouche, the family moved to Truro and this became their permanent home. During this time, Cathy worked with the Truro Bookmobile and later at Colchester East Hants Public Library. She was a great lover and advocate of reading, and was especially knowledgeable about children’s literature; she was a master story teller and could hold an audience spellbound with her beautiful rich voice. Cathy shared Eric’s passion for gardening and the beautiful flowers and delicious fresh vegetables from their gardens were well-known. She had a deep, abiding Christian faith and was a member and tireless worker at Brunswick Street United Church where she was a member of the choir, lay reader and member of the worship committee. She was formerly a strong team member of CLEE, an organization devoted to developing Christian leadership, and for many years, she was a CGIT leader. Cathy was a wonderful cook and hostess and was happiest when the house was full of her friends and everyone was enjoying a delicious meal. She had a great gift for reaching out to people and really cared about each one as an individual. Her circle of friends just kept growing with each passing year; she had a tremendous zest for life and her enthusiasm for living was infectious. To Cathy, life was a wonderful, precious gift and not a moment was to be wasted; her memory will live on in our hearts. Cathy is survived by her son, Colin (Michelle Melanson), Truro; daughter, Susan (Darcy) Sinclair, Fort Smith, Northwest Territories; daughter-in-law, Clarissa Smith, Lethbridge, Alberta; sister, Beth (John) Matheson, Marion Bridge, Cape Breton; adored grandchildren, Samantha and Brayden Sinclair and Charlie and Andrew Smith; several nieces and nephews. Along with her parents, she was predeceased by her husband, Eric; son, Peter; brother, Roy (Mary).